Robert J. Gravina, Chief Information and Technology Officer, Poway Unified School District Located 20 miles north of San Diego, CA, Poway USD encompasses 35,000 students covering 41 sites, over a hundred square mile radius. 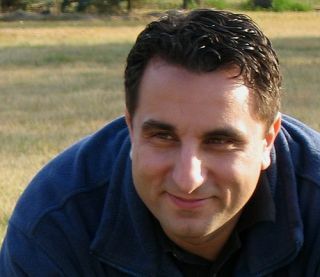 As CITO, Robert Gravina is responsible for 12,000 computers, over 250 servers and a user base in excess of 100,000. Prior to becoming CITO, Gravina was Poway’s director of technology. Before that he was an educational leader at the middle and high school level and taught several university graduate level courses. He is a published author, a well-known speaker at state and national conferences, and created the first home computer distribution program for low-income students in California and one of the first computer refresh programs in the nation. In 2010 he was honored as IT Executive of the Year for San Diego County by the San Diego Business Journal and recently was named one of the top 50 Innovators in Education by the Center for Digital Education. Gravina is a member of the state’s Emerging Technologies Council, the Governor’s Task Force on Broadband Access, the San Diego County Superintendent’s Technology Advisory Committee, the Cisco Executive Advisory Council, and various other state and national committees and advisory groups. Jenith Mishne, Director of Educational Technology, Newport-Mesa Unified School District Jenith Mishne has served the Newport-Mesa Unified School District for 16 years. Her passion for technology began early in her teaching career and led her to serve as the district’s director of education technology. She also teaches in the Master’s programs at UCI and Pepperdine and is one of the founders of Down Syndrome Foundation of Orange County. Mishne received her doctorate in Educational Technology from Pepperdine University in 2012. When she is not working, she can be found somewhere with her 3 Labrador Retrievers. Asim Babovic, Assistant Director of Information Technology, Newport-Mesa Unified School District Asim Babovic wears many hats in his role as assistant directory of IT but in his spare time he is responsible for the district’s Help Desk and technology support teams. He has 15 years of experience in IT, most spent supporting K-12 schools and community colleges, but also as a small business owner, server administrator, trainer, and once upon a time a field interpreter for a team of United Nations peacekeepers. Babovic has a BS in Computer Science, and is a Certified Chief Technology Officer. Scott Bailey is the CAO of the Washoe County School District in Reno, Nevada – the second largest school district in the state, serving approximately 63,000 students. With 23 years of experience, he has served the educational community in many other capacities, including reading specialist, classroom teacher, school headmaster, assistant principal, principal, director, and university instructor. These experiences include service in Joplin, MO and in Las Vegas and Reno, NV. As awarded by the Common Core Institute, Bailey has earned a Black Belt in the Common Core State Standards and frequently presents to audiences across the United States. Jason Borgen [joining us virtually], Program Director, TICAL, Santa Cruz County Office of Education Jason Borgen taught middle school science and AVID from 2001-2007 in the Silicon Valley area where, through project-based learning, 24/7 learning environments and collaborative projects, he helped many students succeed who would have been forgotten and lost in the system.During his tenure, Borgen provided technology support and professional development to teachers, administrators, and students. This included integrating class Web sites, assisting with the school's SIS, and helping students and teachers in using web-based resources in the curriculum. Borgen is currently working for the Technology Information Center for Administrative Leadership (TICAL), a statewide project in California, funded by the Department of Education. He is a Google Certified Educator, co-chair of CUE's AdminSIG and co-president of the TriCUE Affiliate. He presents at national, statewide, and regional education conferences and is an adjunct faculty member at the National Hispanic University, providing technology and learning coursework to graduate students working on their California teaching credentials. Gary A. Carnow, Chief Propellerhead, Inventive Thinkers. Gary Carnow has worked as a teacher, administrator and technology specialist in Southland school districts including Pasadena, Alhambra and Los Angeles. In conjunction with faculty from Pepperdine University, Dr. Carnow designed, developed and implemented the California Model Technology Schools (MTS) Project at Alhambra (1987-1994). As one of six, pioneering five million dollar competitive grants, the MTS Project provided California schools with models of what was possible in technology education. Dr. Carnow is a recipient of the Marshall McCluhan Award in Global Communications for his work in technology staff development and was named an Apple Distinguished Educator in 2002. He has taught in the CSULA graduate school of education for over fifteen years and has authored software products published by Knowledge Adventure as well as numerous publications and learning resources for Apple, IBM, Scholastic and others. One of the first grant writing experts to share his expertise online (via AOL in 1996), he continues to assist technology grant writers at techlearning.com and in print in Tech & Learning magazine. Holly Clark, Innovation Specialist, San Diego, CA Holly Clark has been helping teachers redefine instruction in their classrooms by overseeing a 1:1 ipad and chromebook pilot and helping schools implement digital literacy programs. She is a Google Certified Teacher, National Board Certified Teacher, and holds an MA in Technology in Education from Columbia University. Clark has been both a teacher and an administrator.She has been working with technology integration and 1:1 environments since 2003. She has presented all over the nation and internationally on helping schools improve their 1:1 pilots, and using Google Apps for Education to empower learning. Ronald S. Chandler, Chief Information Officer, Los Angeles Unified School District As CIO at LAUSD, Ronald ("Ron") Chandler is leading the largest K-12 computing enterprise in the nation, with student enrollment of 920,000 and 1,235 schools/centers. He directs the activities of over 500 employees and manages a $334 million budget. Prior to LAUSD, Chandler served as the CIO for Oakland Unified School District and Managing Principal for NMA Consulting. He also led at Irwin Union Bank as Senior Vice President and CIO. In addition, he has experience as an independent consultant and in various management roles where he led technology and organizational strategy development with entities such as Andersen Consulting (now Accenture), McDonalds Corporation and Price Waterhouse Coopers (Now IBM Global Services). An electrical engineer by trade, Chandler managed various design teams on multiple Avionics Systems for the F-16 and A-12 aircraft early in his career. Robert Craven, Senior Director, IT, Tustin Unified School District Robert EM Craven is an educator with a technology obsession. When he entered the education field nearly 20 years ago, he quickly realized the impact technology had on both his teaching and student learning; this discovery started him on his endless journey into the integration, development and practice of technology and curricular integration. Craven is an Apple Distinguished Educator, Google Certified Teacher, Sony Education Ambassador, and was recognized as one of the 5 “Best of NECC” presenters in 2007, 2009 and 2010. Since 2009, he has served on the Computer Using Educators (CUE) Board of Directors and is currently board president. When not presenting, he can be found at the local coffee shop, airport, soccer pitch or baseball field plugged into the grid as digitalroberto. Jeremy Davis, Director of Educational Technology Capistrano Unified School District Jeremy Davis has been in education for the last 12 years, as a classroom teacher (K, 4, 5, 6, and adult) in Bellflower Unified SD; instructional technology teacher on special assignment in Magnolia SD; instructional technology coordinator in Anaheim City SD; and now as director of educational technology for the Capistrano Unified School District. He is a Google Certified Teacher, Star Discovery Educator, and Certified Chief Technology Officer. Davis has designed and taught the Tier I Administrative Credential Technology Module for the Orange County Department of Education for the last 6 years, and co-teaches the Educational Technology course for the Certified Chief Technology Officer mentor program through CETPA. John Fleischman, Assistant Superintendent of Technology Services, Sacramento County Office of Education (SCOE) With more than 30 years of experience in education as a teacher and project director, John Fleischman is currently responsible for all of Sacramento County Office of Education (SCOE)’s information and educational technology operations. He possesses an extensive background with creating and implementing informational and instructional media for use in a variety of educational environments. His present area of focus is on building web-based solutions for education, including data management systems and comprehensive online learning resources. Rick Hassler , Coordinator of Implementation and Deployment, 1:1 Solutions, Los Angeles Unified School District Rick Hassler has worked in education for over 17 years, supporting the integration of technology. In his current position at LAUSD, he oversees all deployment aspects of the Common Core Technology Project including school readiness, digital citizenship and integration. His other work includes, coordinating the selection of instructional materials and digital content, development of policies around the management of devices and the integration of technology into the curriculum. Hassler is extremely dedicated to empowering students to become problem solvers and supporting them to be college and career ready. Jim Klein assumed the CTO job at Las Virgenes with over two decades of experience and knowledge in IT, most recently as director of information services and technology at Saugus Union School District. He is widely recognized as a ground-breaking education technology leader, particularly in the areas of open source and social media. Klein has written a number of articles for industry magazines, advocates for education technology personally within his state and on Capitol Hill, and serves on a number of national and international committees and panels. He has been recognized as a NetworkWorld All Star, T.H.E. Journal Innovator, National School Boards Association "20 to Watch" educator, and most recently, an Association of California School Administrators' Technology Administrator of the Year for Los Angeles County. Klein has given keynote lectures and tech talks on a variety of topics at various locations across the United States and is the founder of the open-sourceubermix project, an educational operating system used by more than sixty school districts and nonprofits. Mike Lawrence has been impacting education as a teacher, administrator, technology coordinator and non-profit leader for twenty years. He currently serves as executive director of Computer-Using Educators (CUE.org), supporting its membership by advancing student achievement through technology on an international level. Each year, thousands of educators attend CUE’s conference events and professional learning opportunities, making it the premier educational technology association of the western US. He also serves as director of the California Student Media Festival (mediafestival.org); the nation’s oldest such festival. Lawrence is currently finishing a four-year term on the ISTE Board of Directors as its secretary. He is a respected presenter at national conferences and events, was named an Apple Distinguished Educator in 2003, and co-founded the Google Certified Teacher program in 2006. Sylvia Martinez is co-author of Invent To Learn: Making, Tinkering, and Engineering the Classroom, a book that has been called the “bible of the classroom maker movement.” She speaks and writes around the world to advocate for authentic learning using real-world design principles and hands-on experiences. For the past ten years, Martinez has been president of Generation YES, a non-profit organization evangelizing student leadership through modern technology. Prior to this, she oversaw product development, design and programming for consumer software, video games, and educational games at several software publishing companies. Martinez started her career designing high frequency receiver systems and navigation software for GPS satellites. Jay McPhail began teaching as a second career in 1998 in the Perris Union High School District in southern California. His understanding of technology and its power to transform the educational environment led to his being appointed director of technology from 2000 to 2003, when he was selected as teacher of the year for Perris High School. In 2004, he was hired as an instructional services specialist in instructional technology for Riverside Unified, where he has led successful efforts to secure and successfully implement over 15 million dollars in grants and public/private collaborations focused on the effective integration of technology into teaching and learning. McPhail has been a presenter at numerous national conferences all over the world, and has served on the Hewlett Packard National Educational Council, the Promethean National Advisory Council, and the Intelligent Papers International Advisory Board. He is currently leading an effort to identify and implement effective personalized learning systems in conjunction with the Bill & Melinda Gates Foundation. tor of and LearneMichael Morrison, Chief Technology Officer, Saddleback Valley Unified School District. Michael Morrison has served Saddleback Valley USD for the last 17 years in the educational technology and IT departments. SVUSD serves 30,000 students in five cities in South Orange County. It has been featured in the world's largest trade journal for its green initiatives in virtualizing servers. Morrison has produced programs for PBS for teachers and Internet instruction; serves on several advisory boards, including Aeries student information system; and is a former CUE Board member as well as a CUE Gold Disk recipient. He makes every effort to create students who are: collaborative, communicative, innovative, creative, critical thinkers, have global perspectives, self-directed learners, analytical and have integrity. Dr. Christine Olmstead began her teaching career in 1998 in the Brea Olinda Unified School District. She transitioned to the role of education technology specialist in 2002 and to educational services specialist (with responsibility for areas including data analysis, school plan development, assessment and accountability, in addition to educational technology) in 2006. With a Masters Degree in Curriculum and Instruction and emphasis in educational technology, she brought a wealth of innovative technology strategies to her district and was instrumental in the development of the Global Information Technology Academy at Brea Olinda High School. In 2009, she became the principal of Arovista Elementary School, a K-6 Title I School in North Orange County. In 2011, Olmstead was awarded her Doctoral Degree in Educational Leadership from California State University, Fullerton. Her dissertation focus was on using technology to increase parental involvement. In 2012, she assumed her current role with the Orange County Department of Education, where she oversees the implementation of the Common Core State Standards and all curricular areas. She is a firm believer in professional development and stays actively involved in CUE, ISTE, ASCD, and ACSA. Catharine Reznicek, M.Ed. has served since 2001 as the educational technology specialist for the Ventura County Office of Education, where she supports educators in the integration of technology and assessments to support learning in all areas of K-12 education. Current projects emphasize connecting technology and the Common Core State Standards and preparing students for success with the Smarter Balanced Assessment. In addition, Reznicek is a certified Leading Edge training facilitator for online and blended learning and the digital educator certification courses and serves as adjunct faculty for California Lutheran University and California State University Channel Islands teaching courses in educational technology. Luz Rivas founded DIY Girls in 2011. For the last 10 years, she has worked in out-of school STEM education. She has developed outreach programs focused on increasing underrepresented minorities in STEM fields at Caltech and most recently was a director at Iridescent where she worked on training programs for engineers interested in teaching kids. She has presented at conferences such as American Society of Engineering Education and Engineers without Borders. Rivas started her career at Motorola where she was an Electrical Design Engineer working on position and navigation systems for the automotive industry. She has a Bachelor of Science in Electrical Engineering from MIT and a Master’s in Technology in Education from the Harvard Graduate School of Education. Dr. Ingrid Roberson supports schools and districts throughout Alameda County in the awareness, transition and implementation of the Common Core State Standards and Smarter Balanced Assessments. Prior to joining ACOE, she was the chief assessment, measurement, and evaluation officer at the Stupski Foundation, leading their research & development work within the Learning Lab Network -- a set of secondary schools innovating on curricular and instructional design. Roberson was also the executive director of research, assessment and data in Oakland Unified School District, conducting and translating research to inform district practices, programs and policies. She currently enjoys designing Next Generation learning experiences for adult learners, a necessary part of the transition to the Common Core. Robert Sidford is the 21st Century Learning Coordinator for Washoe County School District in Reno, Nevada. In that capacity, he leads a team of 21st Century Learning specialists who assist teachers to integrate technology and create learning environments focused on students’ development of 21st Century competencies. Sidford has previously served as a classroom teacher, site administrator, and district educational technology coordinator, and led the planning and implementation of a district-wide 1:1 program in Lincoln County (Nevada) School District. Born and raised in Australia, Robert has worked in the fields of K-12 education, public relations, emergency services, administration, and governance. Dr. Themistocles (“Themy”) Sparangis is responsible for IT Customer Services for the Los Angeles Unified School District and reports directly to the Chief Information Officer. The IT Customer Services Group provides for the repair and maintenance of local area networks, voice and radio communications systems, security systems, computing devices and associated software, and IT helpdesk services for the schools and office in the district. Sparangis is also an adjunct assistant professor for the University of Southern California’s Rossier School of Education. He obtained a Bachelor of Arts in General Physics from the University of California, Los Angeles and a Doctorate of Education at the University of Southern California, specializing in international education. He is a credentialed teacher in secondary physical science, having taught AP Physics and Physical Science at LAUSD. He also holds an Administrative Credential issued by the State of California. Dr. Susan Tandberg has worked for the Los Angeles Unified School District for over 25 years and has held many positions within the Office of Curriculum and Instruction and the Division of Special Education. Her current work includes supporting the implementation of the Common Core State Standards in all schools and for all students. In addition to her work with LAUSD, she holds an adjunct professor position at California Lutheran University where she teaches in the education department. She is passionate about ensuring that all students have the opportunity to be college and career ready. Dr. Crystal Smith Turner has been an educator for 14 years. She taught for six years in Saddleback Valley USD, after which she was hired as an assistant principal and then principal. She then became director of educational services for Fullerton School District, before being hired as assistant superintendent of administrative services by the Tustin Unified School District. In addition, Apple selected her as an Apple Distinguished Educator in 2011. Turner is passionate about turning around low-achieving schools and providing innovation through technology in education. John Umekubo has been with St. Matthew’s since 2004. Prior to arriving at St. Matthew’s, he taught middle school math and science, and served as director of technology for the Lennox School District. He then worked as an educational technology consultant for both public and private schools in Los Angeles. He has taught graduate courses at Pepperdine University and CSU Dominguez Hills in the Masters in Education programs, and served as executive director for ADTECH, a local non-profit supporting schools with technology initiatives. Umekubo currently teaches a middle school elective course at St. Matthew's called Creator's Studio (http://www.creatorsstudio.org). Dr. Charles Young is the associate superintendent of the Palo Alto Unified School District, where he provides leadership for Pre-K through 12th grade in the areas of curriculum and instruction, research and evaluation and special education. He works closely with site and district leaders in the areas of leadership and strategic planning. Prior to his current position, Young served as a high school English teacher, a middle school principal, an elementary principal and a director of secondary education. He is a representative of TICAL, serves as a legislative representative for ACSA and has provided leadership in the area of strategic planning for three districts.